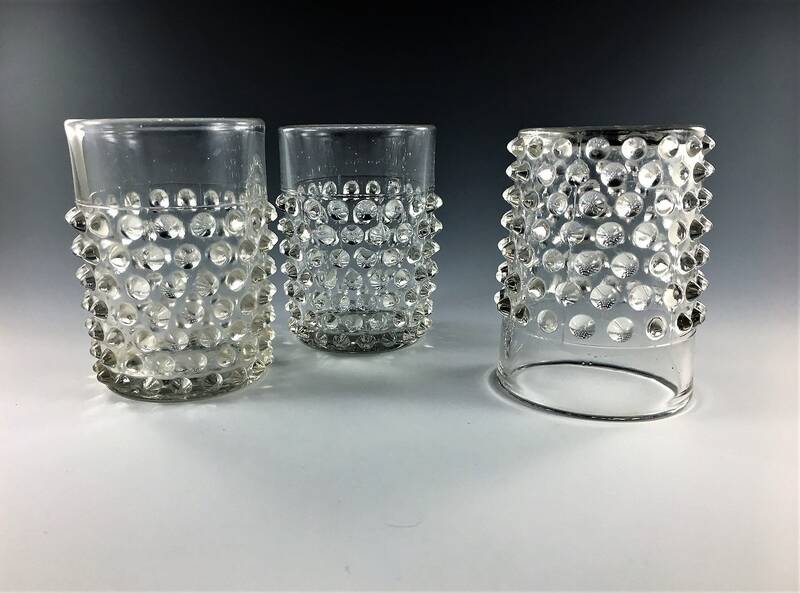 Featured is a wonderful set of three Early American Pattern Glass (EAPG) tumblers from Columbia Glass Company. 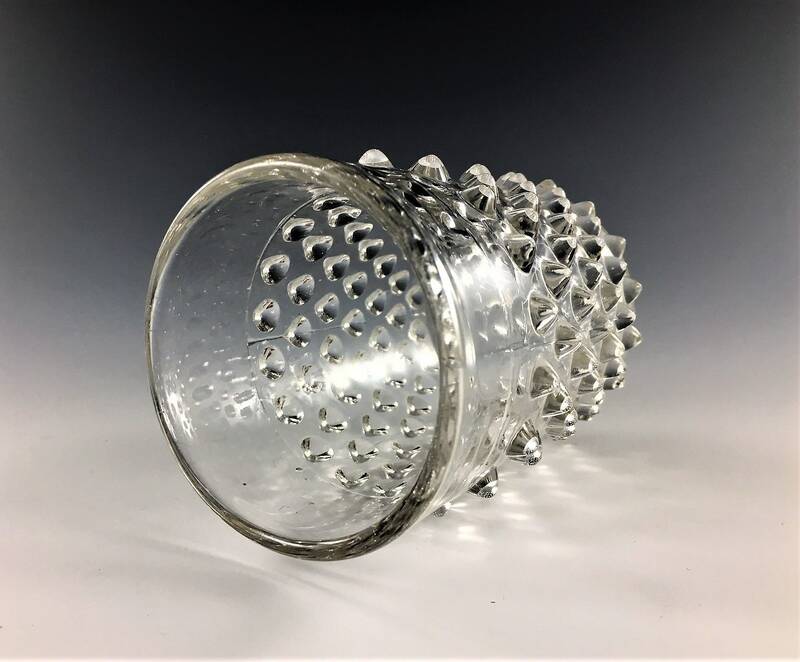 This pattern is called Dew Drop and was also known by collectors as "Hobnail Double Eye" and it was produced in 1888. 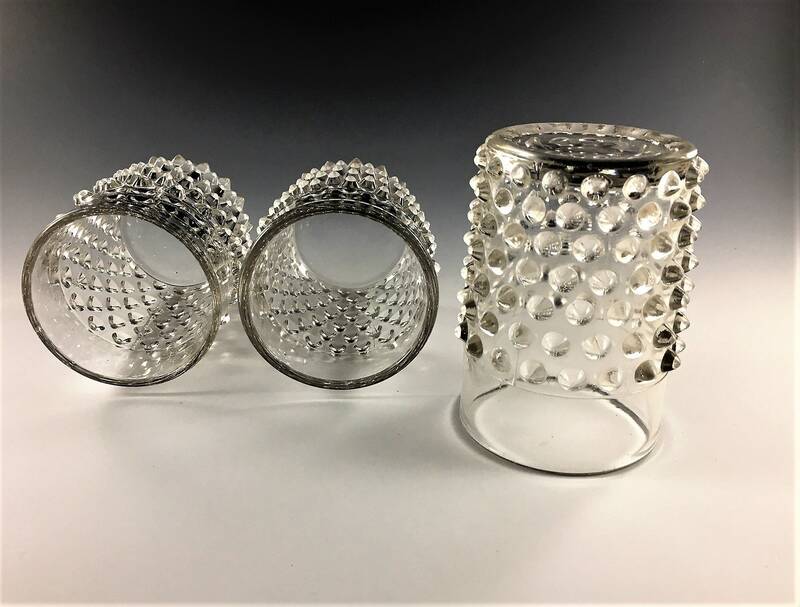 The tumblers are 3 5/8 inches tall and 2 5/8 inches in diameter at the rim. The hobnails stop 1 inch below the rim. 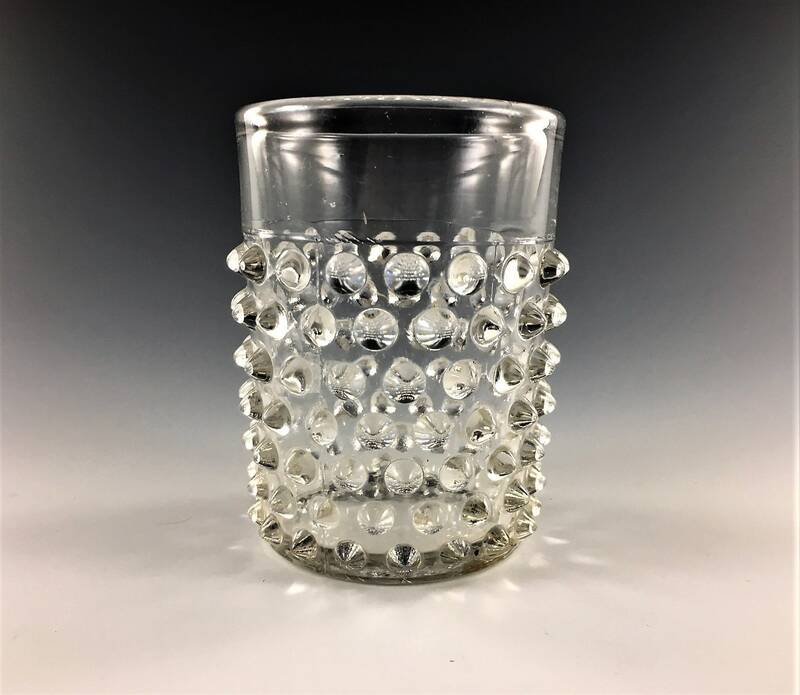 The glasses are in good vintage condition with no chips or cracks. 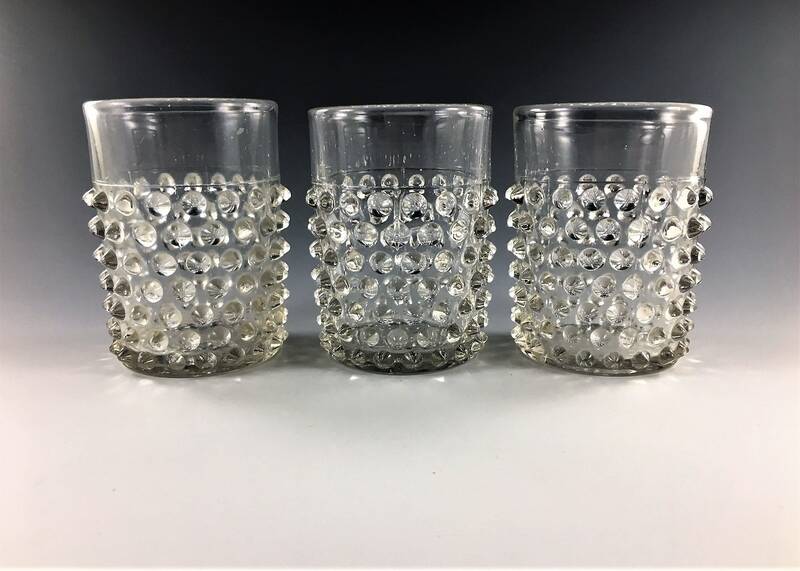 All three glasses for one low price.